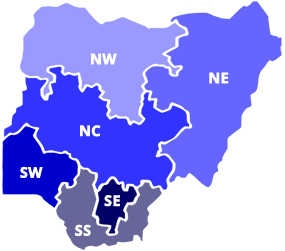 The USPF Changemaker Challenge is a nationwide competition opened to young aspiring innovators, software developers, techpreneurs and other ICT enthusiasts from the six (6) geographical zones of Nigeria. The major objective of the competition is to identify young talents offering modern ICT ideas and solutions that can be used to tackle a selection of identified problems based on the Sustainable Development Goals (SDGs) as they apply to Nigeria and offer solutions accordingly. Consequently, the contestants are given a golden opportunity for various sponsorship deals and also mentorship by some of the finest ICT professionals the industry has to offer as this will guarantee the success of various identified smart ideas and innovations in ICT. A total of thirty (30) teams, five (5) from each of the six (6) geopolitical zones of Nigeria, comprising two (2) to four (4) team members, showcased their applications and software which cuts across major sectors of the economy ranging from Agriculture, Health, Education, E-Government, E-Commerce, Cyber Security, Environment, amongst others, in the Semi Finals and Finals of the event in Lagos. Out of the thirty (30) Semi Finalists that contested, ten (10) teams made it to the Finals after an extensive battle whereby the three (3) best teams emerged to claim various prizes plus acceptance into incubation programme. 2nd Position = JIGGLE (An innovative platform that provides students in Tertiary Institutions 3 square meals daily through the purchase of 3 available Jiggle plans which in turn generates meal credits. 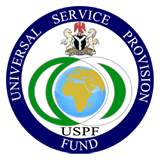 Please visit www.uspfchangemaker.ng for more information.